Introduction of an inexpensive slider in Monte family is not a smart move, but the reflection of the family built from random models. More high-end handsets have nothing in common with this phone, but the name. May be the plastic used is similar to that of Monte Bar, but the resemblance stops here. This is a typical low-end solution, which can leave you emotionless, looks a bit outdated and loses ground against the models from the second echelon manufacturers in terms of value for money. Undoubtedly, this model will have certain sales, as in small quantities you can sell any model. It’s difficult to think that somebody may choose it consciously. 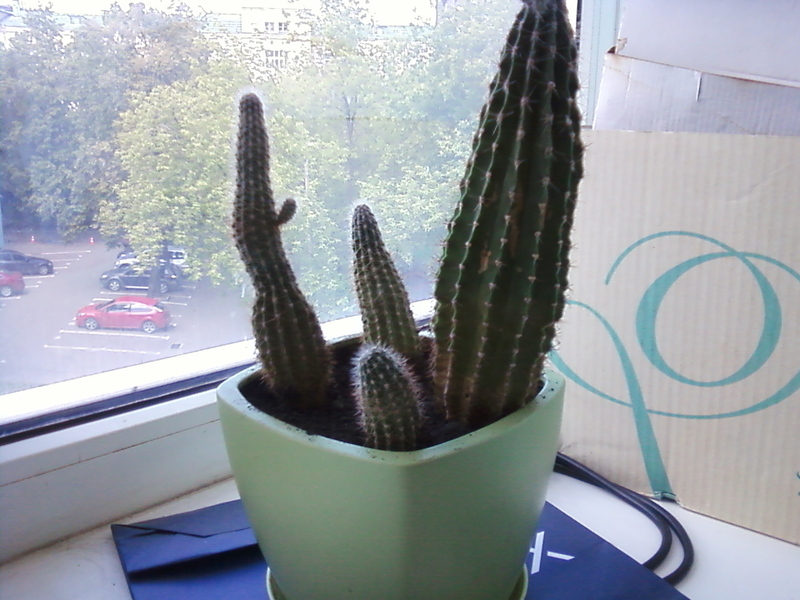 It is for impulse purchases in a shop without careful examination of other models and supply analysis. It can probably be purchased upon advice. 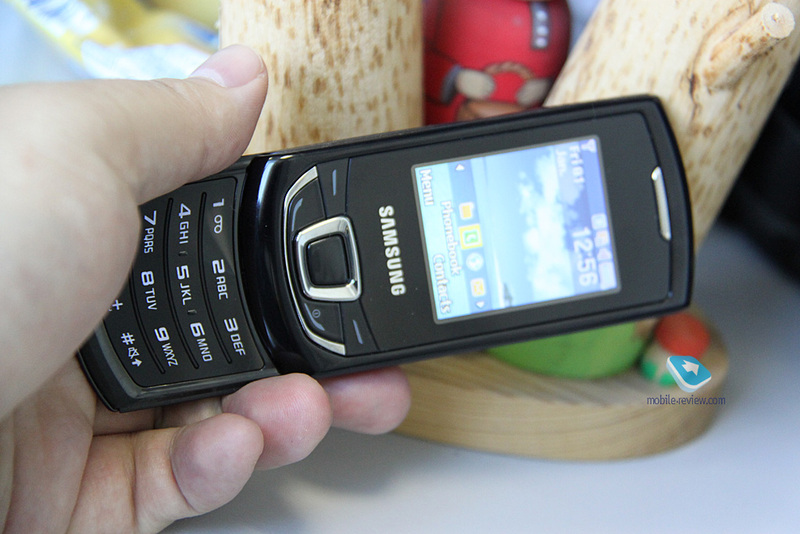 There’ll be no high demand for this handset as it is just a run-of-the-mill model in Samsung portfolio. Its market share is minimal without any definite target audience and it can only hope for random purchases. The phone looks ordinary and is even undistinguished. 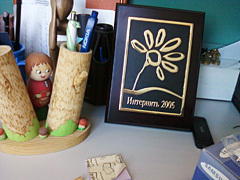 The frame is made of black glossy plastic. There can be no complaints as to the assembly. There are no side buttons, only the right side hosts a jack for headset or charger (Samsung signature interface). The assembly quality is excellent. 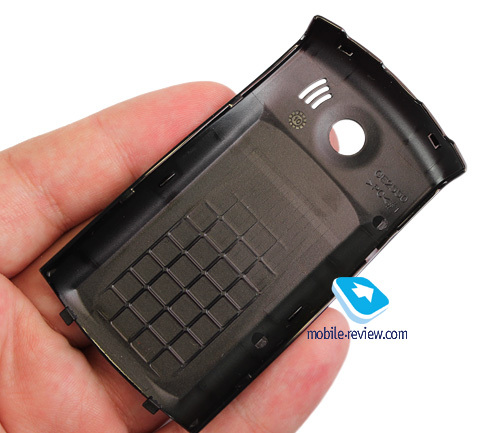 In fact, the panels fit so tight, it is extremely difficult to take off the battery cover. 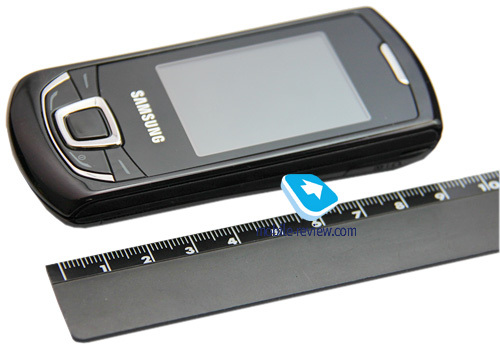 Phone dimensions are – 98.5 x 48.5 x 14.4 mm (3.87" x 1.90" x 0.56") and it weighs 85.5 g (3.01 oz). 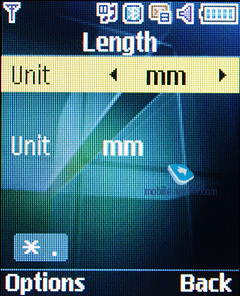 The handset uses 2" display with QCIF (120x160) resolution. 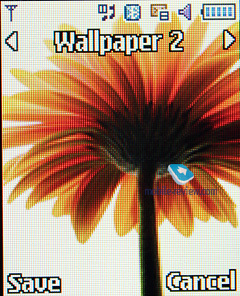 TFT matrix can boast of up to 262000 colors (TFT), the picture quality is average or even worse. The display is behind the majority of modern phones and it’s the biggest and most obvious drawback of the model. 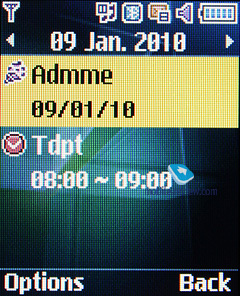 The screen fits up to 9 text lines and 3 status lines. 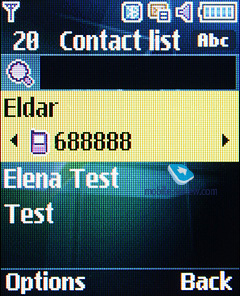 The font size is large and legible both in texting and calling modes. 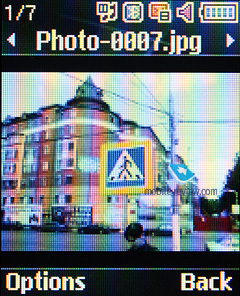 In the sun visibility of information on the screen becomes an issue. Function keys block is comfortable to work with. The buttons are large enough to avoid random pressing. 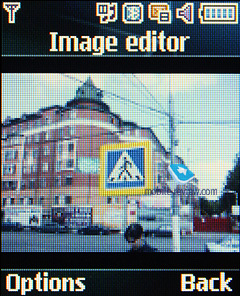 Four position navigation key is good. 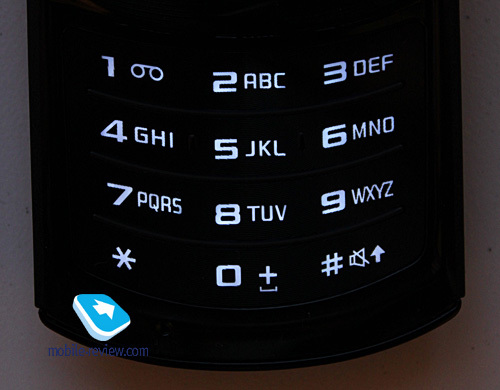 Numeric keypad is large, key strokes are average, buttons move smoothly when pressed and are comfortable to use. 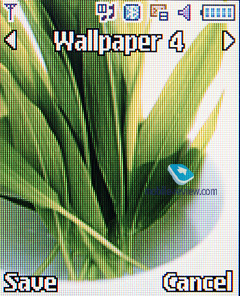 Backlight of white color is well visible in different conditions. 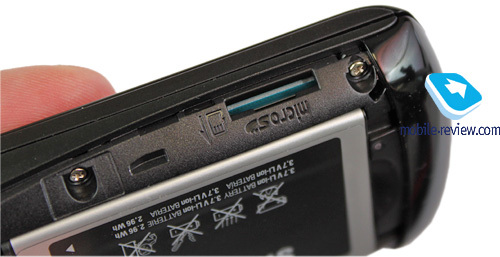 The phone is equipped with Li-Ion Battery of 800 mAh. 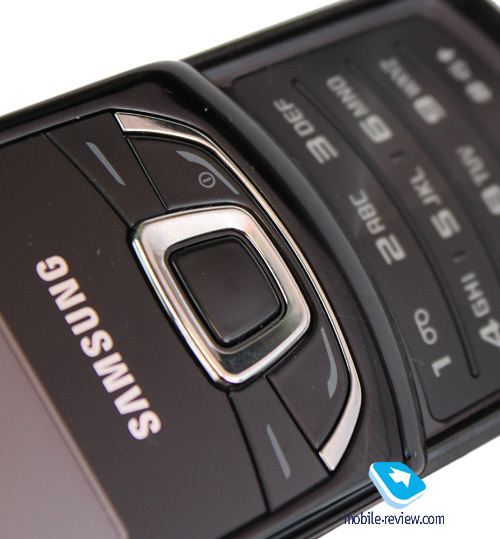 The manufacturer claims that the handset can work up to 400 hours on standby and 6.5 hours in talk time mode. The average operation time in European networks was around 3 days with 1 hour of talk time and 3 hours of music playback. The model will work for at least 2 days with average load, but 3 days (minimal load) are achievable as well. It takes about 2 hours for a full recharge. Batteries of higher capacity are not available for this model. Bluetooth. This model supports different modes, including Headset, Handsfree, Serial Port, Dial Up Networking, File Transfer, Object Push, Basic Printing, A2DP, and Dual Profile Bluetooth. This phone uses Bluetooth version 2.1 with EDR support. The use of headsets is traditional. There are no questions here. USB connection. 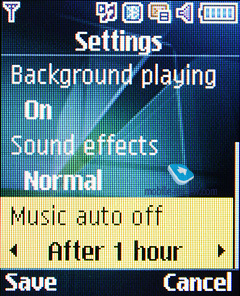 USB modes can be configured in the menu (Samsung Kies, Mass Storage). 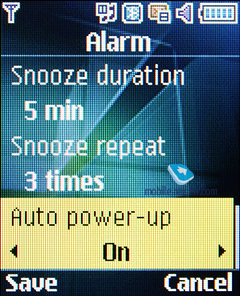 Once connected, the phone starts recharging. 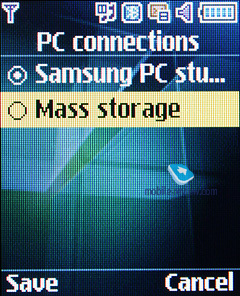 In USB Mass Storage mode the phone is easily detected without additional drivers and you can copy the necessary data. 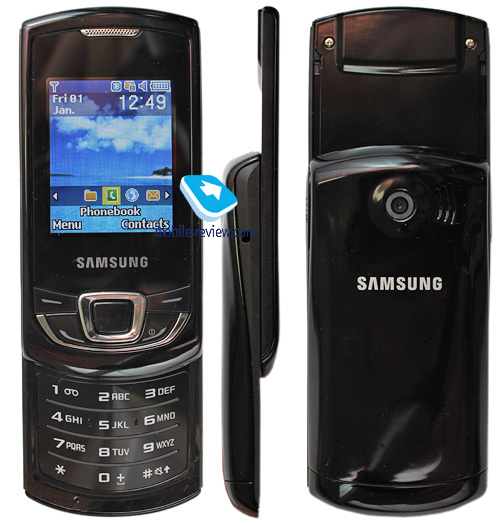 The model features USB version 2 with data transfer speed of around 950 Kb/s. In GSM networks EDGE class 12 is available. 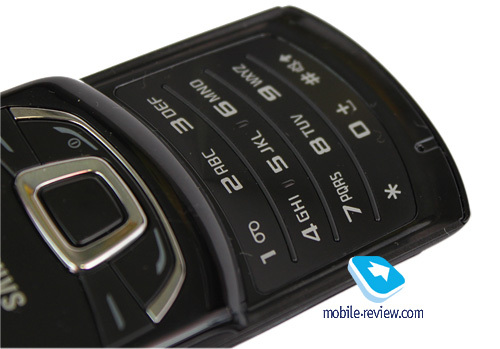 The handset offers 12 MB of storage and this amount is almost entirely available for the user at the start. Memory card is detected separately. 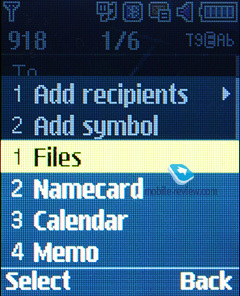 The file manager allows copying files from and to the card. The cards are hot swappable with the slot on the left side. We successfully tested microSD cards of up to 8 GB. 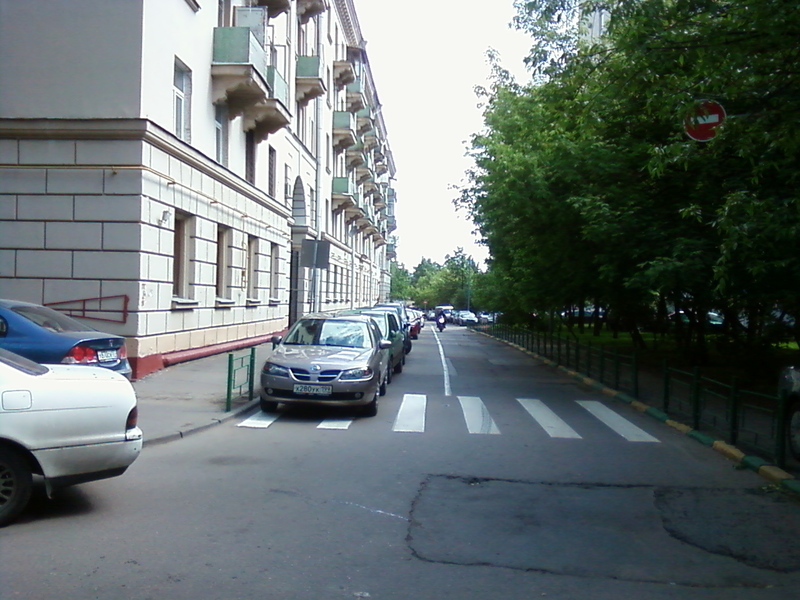 Everything worked well. 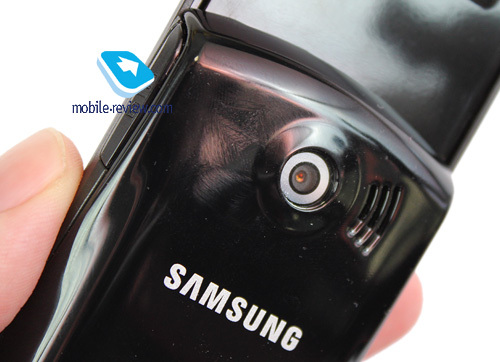 The model is not a photo solution and features a simple 1.3 MP camera. 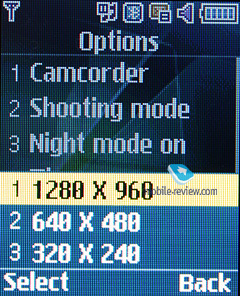 Video recording is available with the minimal resolution of 176x144 pixels (15 frames) only. 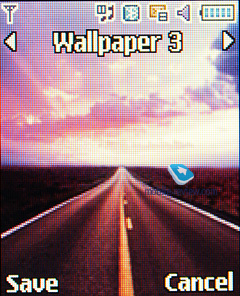 The main menu is represented by 3x4 icon grid. 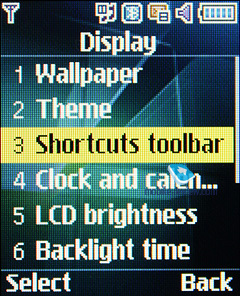 All submenus have horizontal list boxes, but submenus are not displayed in the same list boxes as in Samsung U900. 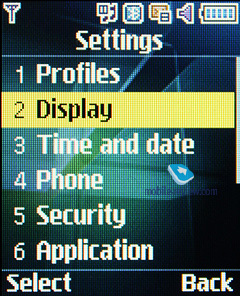 In every submenu and in the main menu the last position is remembered. The phone remembers the last function you used and by default highlights it when you enter the menu. 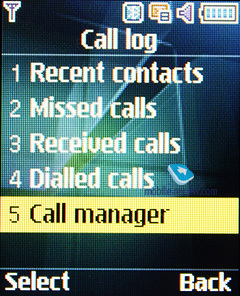 For example you go to the call list in the main menu and then go back. 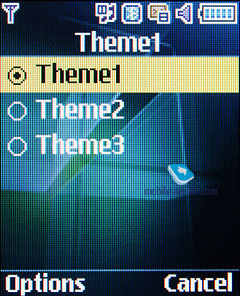 Next time you enter the main menu this element will be highlighted. The subelement will be selected in the menu list as well. When you choose an element in the list, it is highlighted and the font size gets bigger. 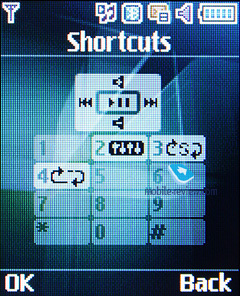 There is a list of shortcuts on the screen, which can be configured. 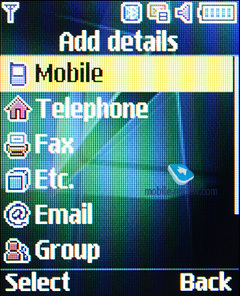 You can open the contact list with one press of the right soft key. 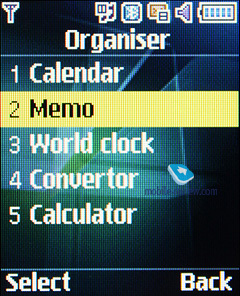 You’ll see a list with all entries, both from the phone memory and you SIM card. 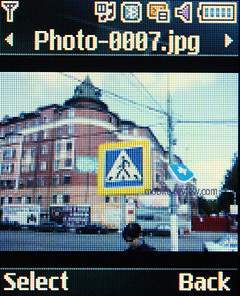 In the general list photos for contacts are not available. In the line below the name you can see a primary number. You can choose it yourself from the saved numbers. First letter quick search for both first and family names is supported. 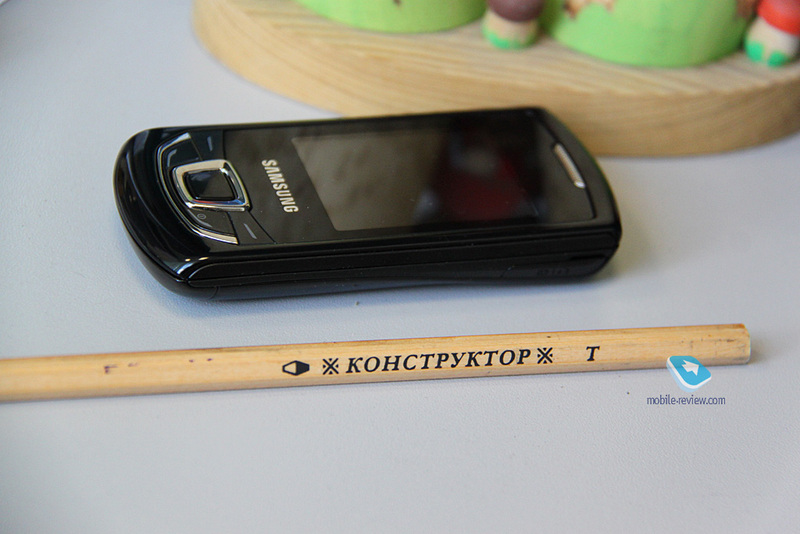 There are up to 20 searchable letters in this phone for every language. When you press OK, you go to the menu of a particular entry. Any graphic file, your photo or video can be used as images. For every name entry you can add up to 5 telephone numbers (mobile, office, home, fax or other) and one of them will be primary (by default it is the first saved number). The fields are not fixed, so you can choose any phone number type for every name. This phone has two fields for the first and family names (both fields are searchable), which are united when displayed and the First Name always comes in the beginning. 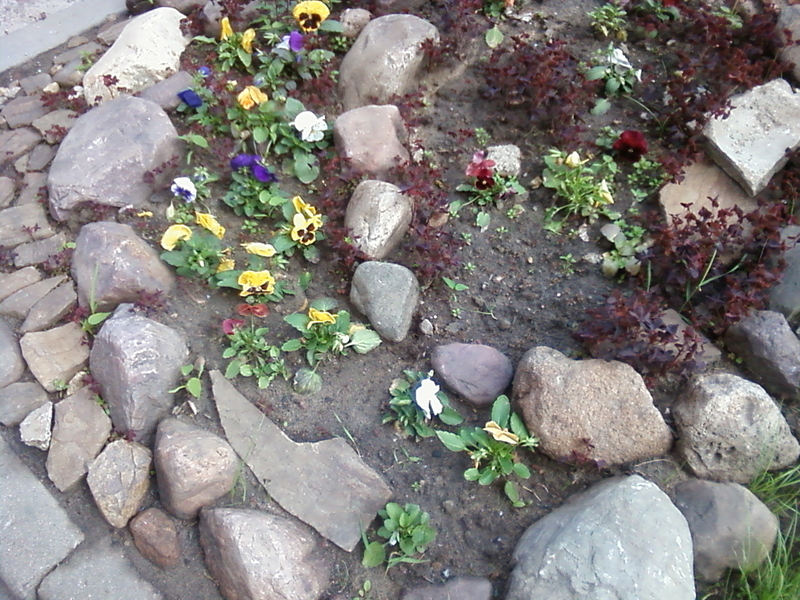 The united field is always visible. 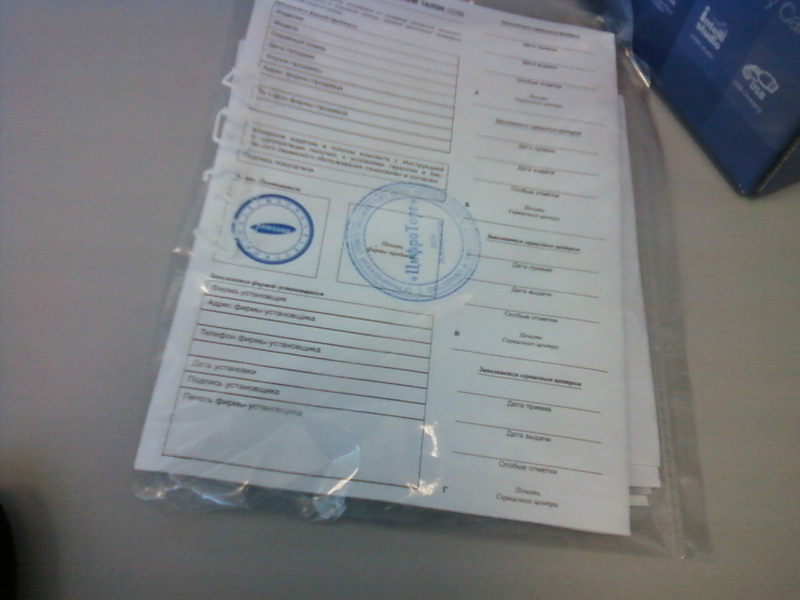 For example, Eldar Murtazin is always displayed in such an order. Every field allows up to 20 symbols for every supported input language. When entering the name you can also switch languages. Entries in different languages are classified in the following order: first all contacts in the local language, then all names in English. It is quite convenient and traditional for computer software. 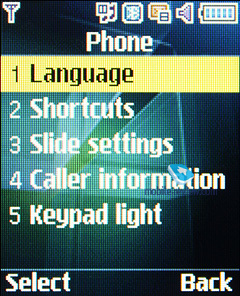 As languages can be switched easily during the search, entries in different languages are not a problem in this handset. The list can be sorted by first name or family name. Let’s go to the contact list. 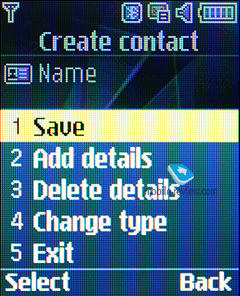 Apart from telephone numbers you can save an e-mail, short text and address. There are some other fields as well. 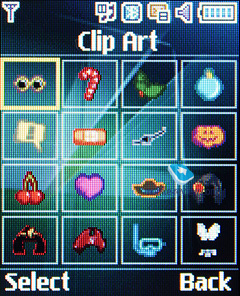 For every name you can choose any sound file as a ringtone, including MP3 files. You can easily create the necessary number of groups, assign each group its sound file and image (by default you have three groups and not assigned). 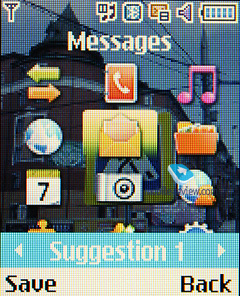 Sound signals for text messages cannot be customized. 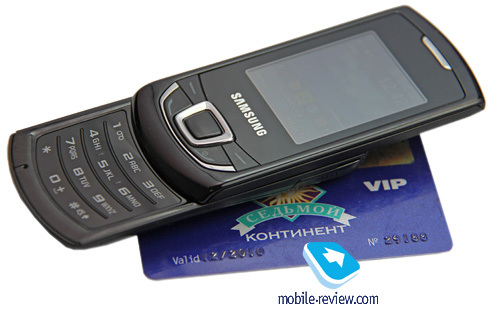 Telephone memory can store up to 1000 entries with all telephone numbers and data. If you leave some fields empty you will still have one thousand entries available. 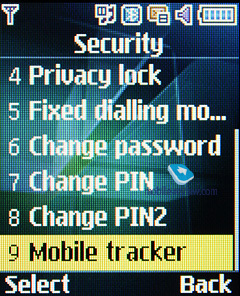 In settings you can indicate the location of all new telephone numbers. 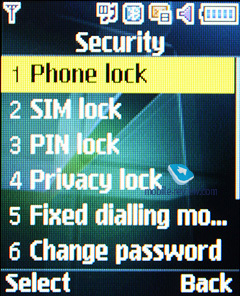 You can also configure the copying from and to SIM card memory. The developers decided that the best synchronization tool is a PC, particularly MS Outlook. 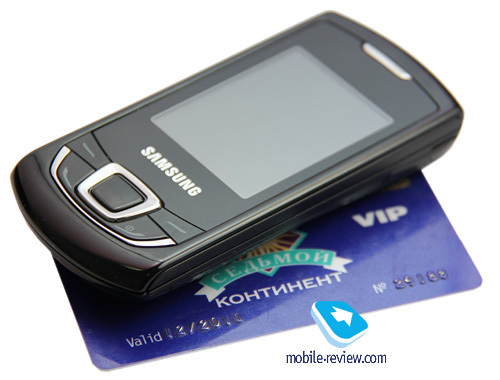 Every entry can be sent to another device as an SMS/MMS, e-mail message or via Bluetooth. 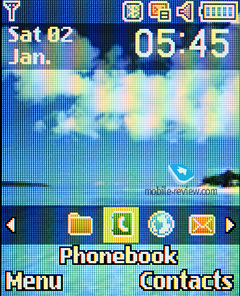 There are no problems with the sending of phonebook entries to other devices and their recognition. You can create a business card if its format completely repeats a phonebook entry. 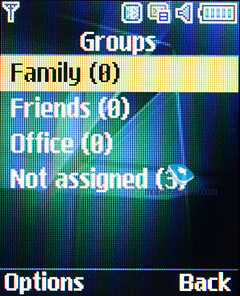 You can create any number of contacts groups and choose an image and melody for each group of up to 20 contacts. 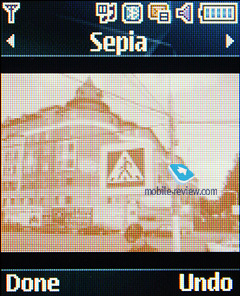 During the incoming call the image is displayed not on the full screen, which isn’t very interesting taking into account all screen capabilities. Every list can host up to 30 phone numbers. 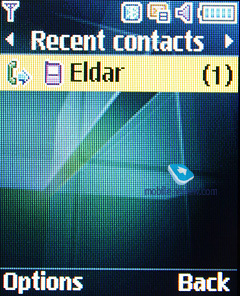 There is a recent contacts list (90 entries), where the icon shows the type of call. 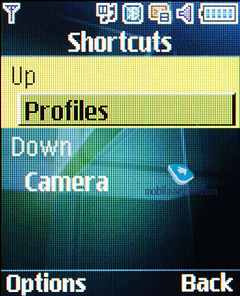 By pressing navigation key horizontally you can quickly move between the lists. 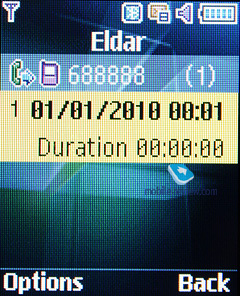 Detailed browsing of an entry shows the date, time and length of the call. 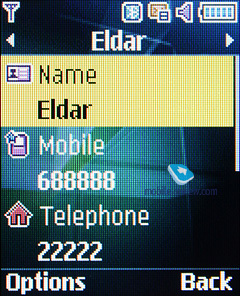 Identical calls are given together with the number of calls shown next to the phone number itself. 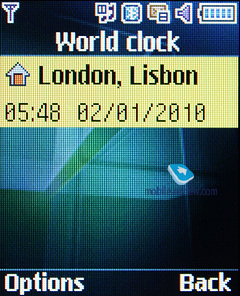 In detailed browsing you can see the time of every call as well. 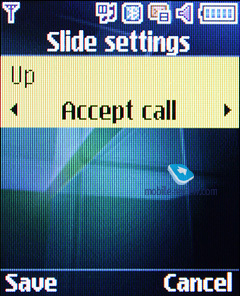 Traditionally this menu allows you to see the total length of all calls and their cost (if this service is available). Certain numbers can be included into the black list and the respective calls will not come through. 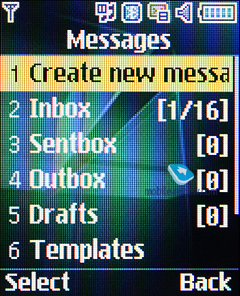 Similar to other manufacturers Samsung abandoned the artificial division of text messages into SMS and MMS. 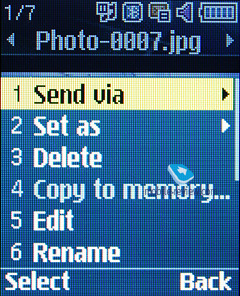 First you create a message and depending on its content it will be treated as either SMS or MMS. 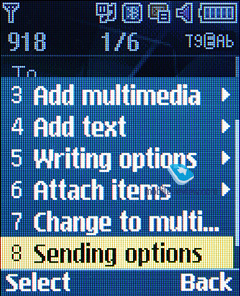 There is still an option, which enables to turn your message forcibly into MMS (for example, when you need to send text only, but via e-mail). 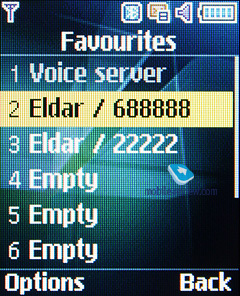 Phone memory can store up to 300 messages, there is support of EMS and compatibility with Nokia Smart Messaging. 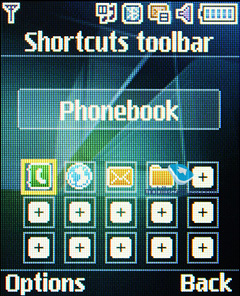 T9 function works without any faults. 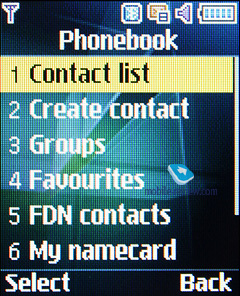 To send a message you can choose names from the phonebook, recent contacts or groups. Black list for all types of messages is supported. 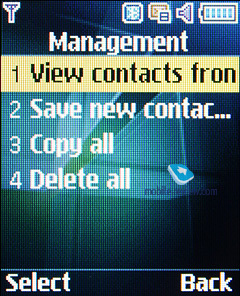 In this case all messages from the designated phone numbers will be automatically deleted. 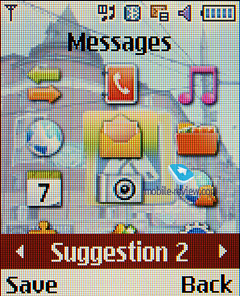 The messages can be moved to your own folders. For e-mail messages you can block both addresses and message topics. 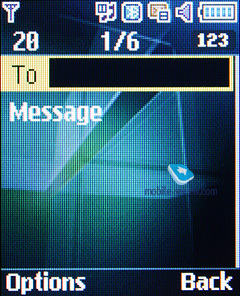 Outcoming MMS messages can be up to 300 KB, while the size of incoming messages is not limited. 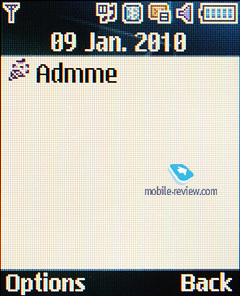 Among additional settings we would like to mention an opportunity to block ad messages, choose the type of message reception in roaming and your own network. 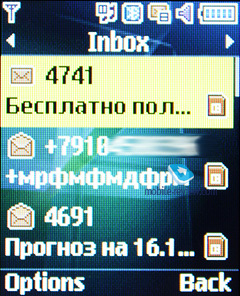 The messages are stored in dynamic memory and the same applies to e-mail messages. Then we have a function of emergency messaging. 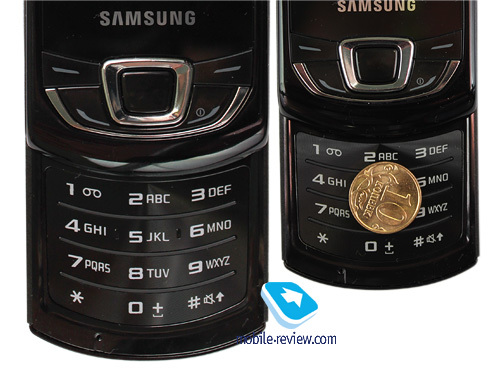 After its activation you can press volume control button 4 times and the message “I am in emergency. Please help me” will be sent to the earlier designated contacts and all incoming calls from these numbers will be received automatically. 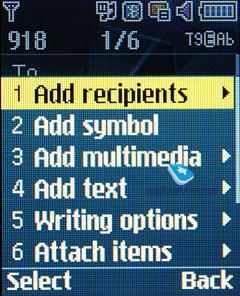 The number of contacts (no more than 5) and repetitions can be changed, but the text cannot be edited. 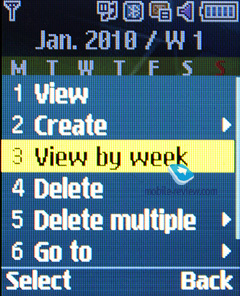 In the phone memory you can store up to 400 events classified into meetings, anniversaries and holidays. For every entry you can choose its time, date and finishing time. You can select a signal and time interval. Repeated events are also supported (you can configure repeat time and include exceptions, which is quite convenient). 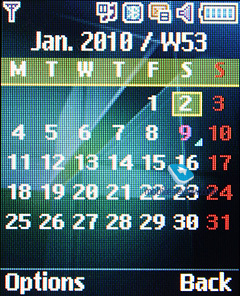 You can comfortably view the monthly and weekly calendars with each type of event having its own color. 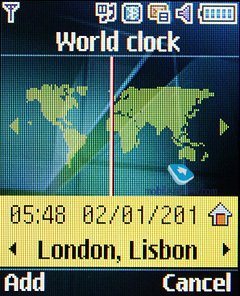 World clock. Time for the two selected cities is displayed in an easy and informative way. 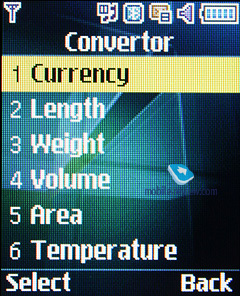 Convertor allows changing measurement units and currencies. 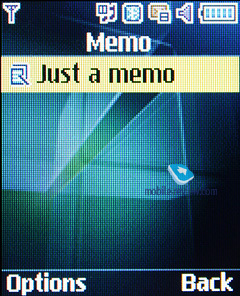 Memos represent simple text notes. 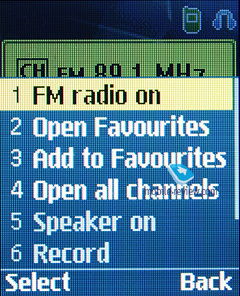 In the phone memory up to 99 radio stations are stored with the available frequencies from 87.5 to 108 MHz. 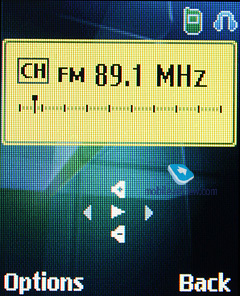 Automatic tuning of all stations is available, but separate channels cannot be assigned the names and they are always displayed by the frequency. 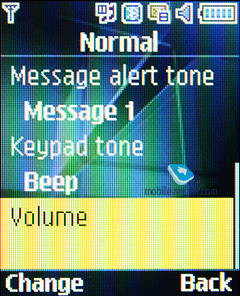 Radio also works in the speakerphone mode. Not all radio stations can be heard equally well, but in general the radio realization is on par with other manufacturers. Radio can work in the background mode. RDS function shows the station name only in the common list above. 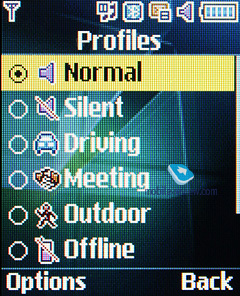 This option has no other features. You can record radio signal onto the memory card or telephone memory. This model has an integrated MP3 player, which supports random, sequential and cyclic playback. 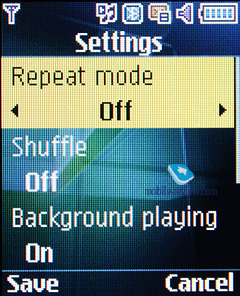 You can download MP3 files directly via Bluetooth or from synchronization application. 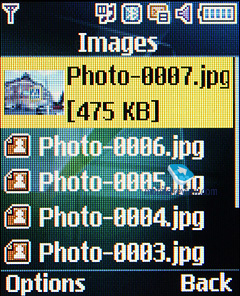 Files can have any names and tags in all languages. 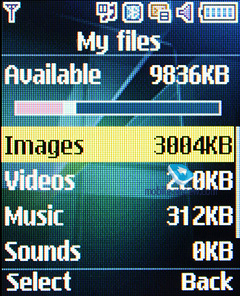 Files bit rate doesn’t play a major role as all formats are supported, including WMA, AAC, eAAC, eAAC+. 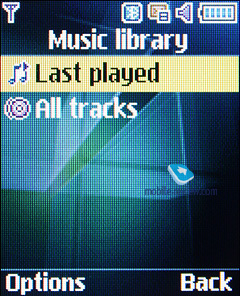 During the playback the name of the current track and the total number of music files are displayed. Equalizer cannot be customized and 9 variants are available, including the automatic one, which adjusts to the current track. 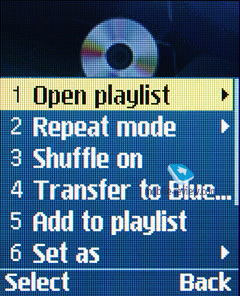 Playback can be arranged via a stereo headset (including cordless models) or in the speakerphone mode. Volume has 14 levels. Users can create their own playlists. 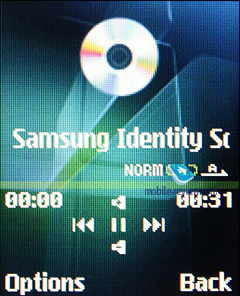 When the player works in the background mode the screen displays the track title and hints for controls use, which is quite welcome. Visualization is represented by Album Art or animated equalizer. Player filter applies to all tracks. Dictaphone. 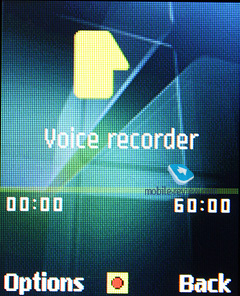 Up to several hours of voice memos can be recorded and the number of recordings is unlimited. 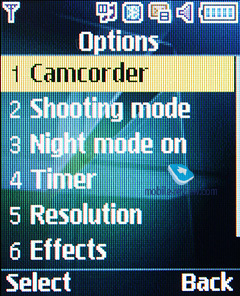 In fact the users can limit the length of recordings, to let’s say 1 hour. In the memory all recordings are stored in one folder. The quality of recording during lectures and round table negotiations is quite acceptable. 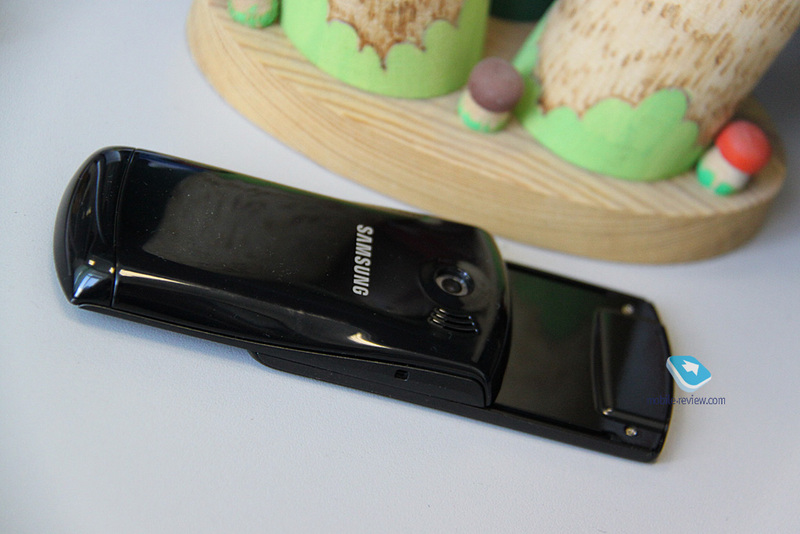 This phone can to some extent replace a digital dictaphone, but it doesn’t work during the talk time. Games. 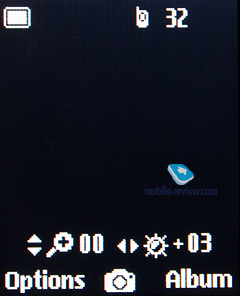 This phone has several games in demo versions. You will have to pay for full versions. Memory for Java applications is limited by the phone’s free storage. You can uninstall any available game. 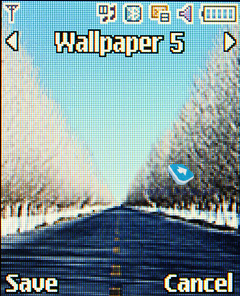 New games can be downloaded through wap and from the phone memory. Heap size is limited to 2 MB and an application cannot be bigger than 1 MB. 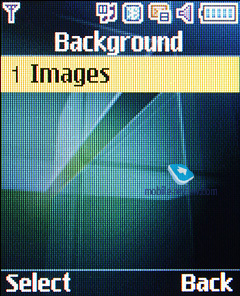 Applications cannot be sent into the background mode. 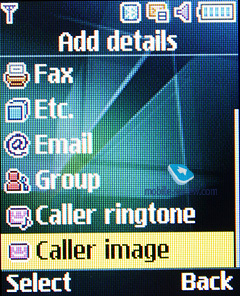 Preinstalled applications include Palringo messenger. 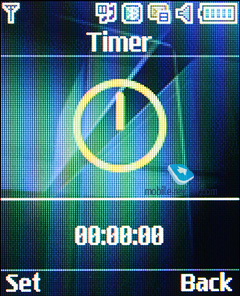 Timer and stopwatch are quite traditional. 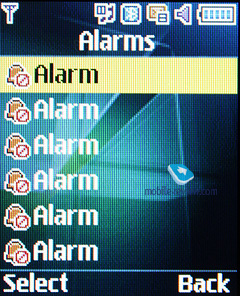 Five alarms are present in this model and each can be configured for a particular day of the week. 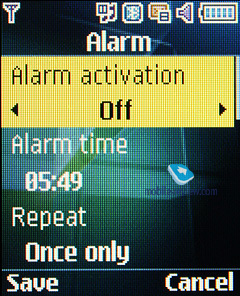 All alarms have 5 melodies to choose from, but MP3 files can be used as well. In settings you can indicate if the phone will have to start automatically when the event comes. All files can be accessed from this location: music, pictures, video and sounds. All downloaded files also get here. 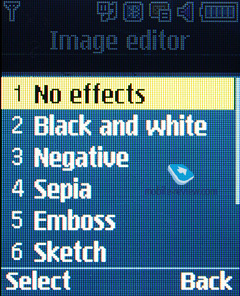 On the negative side, we have to mention that sometimes the file may be displayed in the list only after you go back and open the list again. 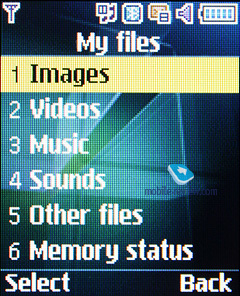 Files can be displayed both as the list and icons. You can select one or several files from the list. 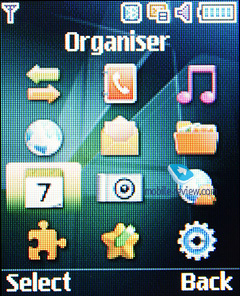 Copying, deletion and files transfer (phone memory and memory card) are supported. Files can be arranged according to their time, type, name and size. Traditionally you can protect any section of the phone (messages, short messages, organizer, etc.) with a password. 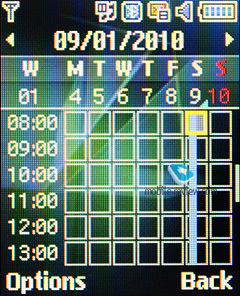 Time for screen backlight and its brightness can also be set. 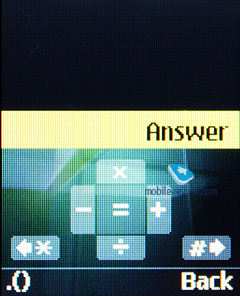 For number dialing you can choose how numbers will look, their size and color (you can’t choose animation for dialing). Profiles. This is a fully-functional organization of profiles, including the flight mode. 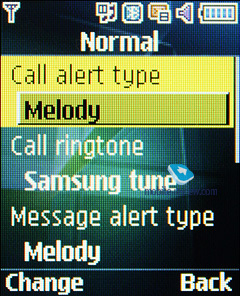 For each profile you can choose a particular ringtone or melody for text messaging and configure their volume. 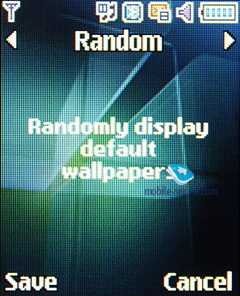 Installation wizard allows customizing the main settings during the first run of the phone. 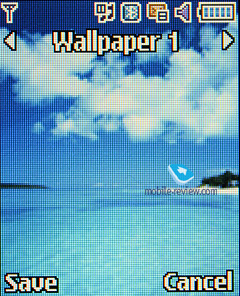 This is a low-end model with a disappointing screen, which is outdated and clearly belongs to the previous generation devices. The weakest point of the model is its screen, while assembly and other features are quite traditional for this market segment. 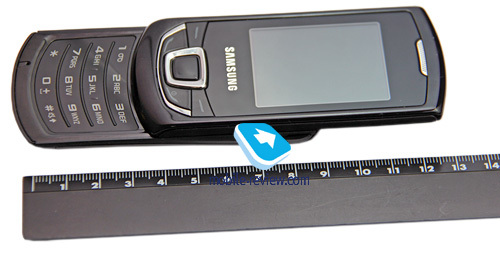 The company probably understands it and Samsung Monte Slider will not be produced in great numbers. This handset costs around €90, which is not expensive, but this segment features more interesting models worthy of attention. 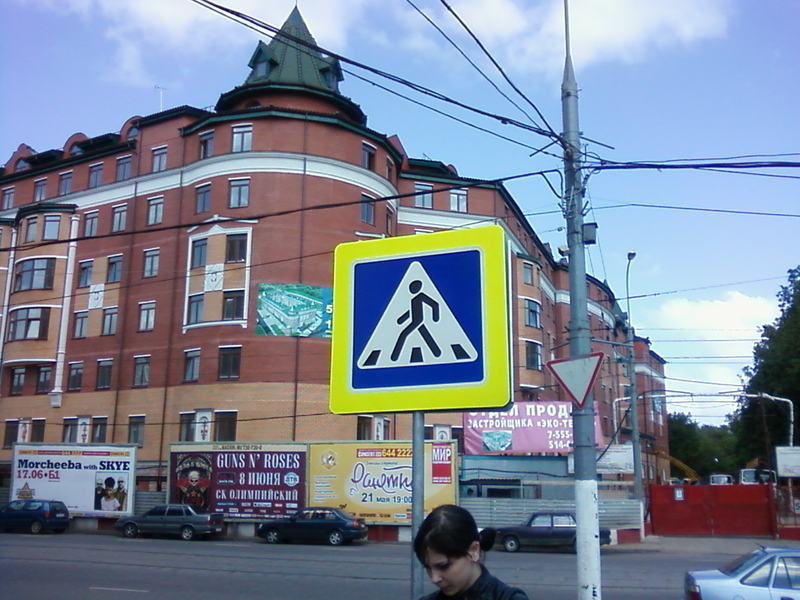 This model cannot be recommended as it is inconvenient in everyday use due to its screen. Nevertheless, if you are on a budget and need a slider this can be a way out.